Are you an early career scientist or science communicator seeking to get to grips with some important and exciting topics? Do you want to enhance your communication skills? Are you passionate about matters of science and faith? God and the Big Bang really wants to help develop a new generation of able scientific communicators. We love giving people the opportunity to develop their communication skills and get to grips with the fascinating topics of science and faith. There are lots of different ways for people to get involved. 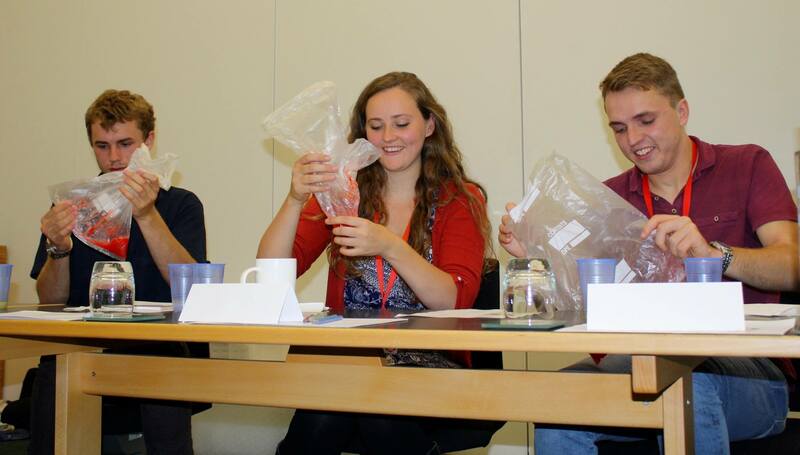 We facilitate training workshops, providing the opportunity for Christians, from early career scientists and science students to trainee science and RE teachers, to think about and become more effective and confident communicators on topics surrounding science and faith. If you want to take your interests further there are chances for you to get involved with our school events as one of our science presenters or share about how your personal faith and scientific career fit together on our blog. Want to find out more about the different ways people have gotten involved? Meet some of the people already helping with the project. If this sounds like something that interests you, we would love to hear from you! Don’t hesitate to get in contact to enquire about participating in our training workshops, getting involved with our school events or linking up with like-minded people passionate about science and faith.